I hope you all had a lovely week and a super good weekend. I unfortunately had to work the weekend, which wasn’t fun, but a girl has got to pay her bills some how! Now I’m going to be completely honest, this post is going to be intense (in a good way), so I need you all to take a seat and listen carefully because what you are about to read could change your life just like it has changed mine. If you looking for a workout that works please read on, if you are looking for a workout that makes you happy please, read on! Today I want to talk to you about something very honest and important to me and that is PIIT28 – Pilates Intense Interval Training. What is PIIT28 you ask? Well, PIIT28 is a program that Cassey Ho created with the help of a few of her friends to help and motivate people to not only lose weight but to gain happiness and self worth in the process. Cassey Ho is also the creator of Blogilates, I have written a full post on my experience and story with blogilates which you can find here. PIIT however has been a little bit different for me than Blogilates. PIIT was created based on the HIIT, High Intensity Interval Training method however it incorporates POP Pilates moves and only takes a mere 28 minutes and 40 seconds to complete the full workout, which is amazing considering we all use the excuse that we don’t have enough time to workout… I’m guilty of it. Each workout targets a specific part of your body, for instance during round 1, Monday targeted the booty whereas Thursday targeted the upper body. So each day you are working something different while burning fat. Before I move onto my personal opinion, I want to tell you what Cassey guarantees PIIT will do for you; cut your workout time in half, melt all-over body fat fast, increase your resting metabolism, build lean muscle with no equipment, sculpt the strongest Pilates abs ever, improve your posture so that you’ll look taller, increase your confidence and happiness levels and lastly, find new friends and make real relationships with like minded people. I can wholeheartedly tell you that in only a month all of the above happened for me and I truly was amazed. Not only is there a workout guide though, Cassey has also put together a 28 Day Reset (meal plan) to follow along with PIIT, unfortunately I haven’t yet purchased this purely for the fact that I can’t afford it yet but if you can afford it I would highly recommend it as it not only teaches you to eat healthier but it shows you how easy it is and how beneficial it is! I am going to go on now and tell you a bit about my experience but please stick through to the end or skip ahead to find out prices! 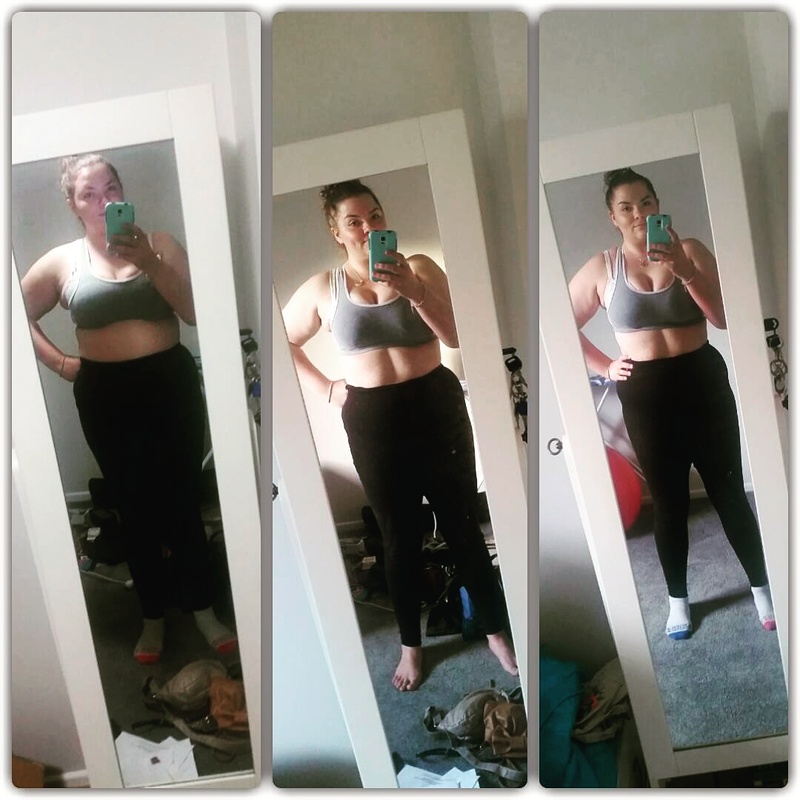 When I started PIIT28 on March 1st I was super excited, and eager to begin this next phase in my journey, however when I first came to perform the exercises I had a breakdown. I was so upset, I won’t lie. I have been doing Blogilates now for almost four years on and off and although I’m not thin I thought I was fairly fit but when I got down on my mat and struggled to even start Mountain Climbers I got angry and defeated. My poor boyfriend copped it that night, I wanted to quit in that moment but my boyfriend held me and comforted me as I lost it and kept telling me that this is why I started this program, to get stronger, right? 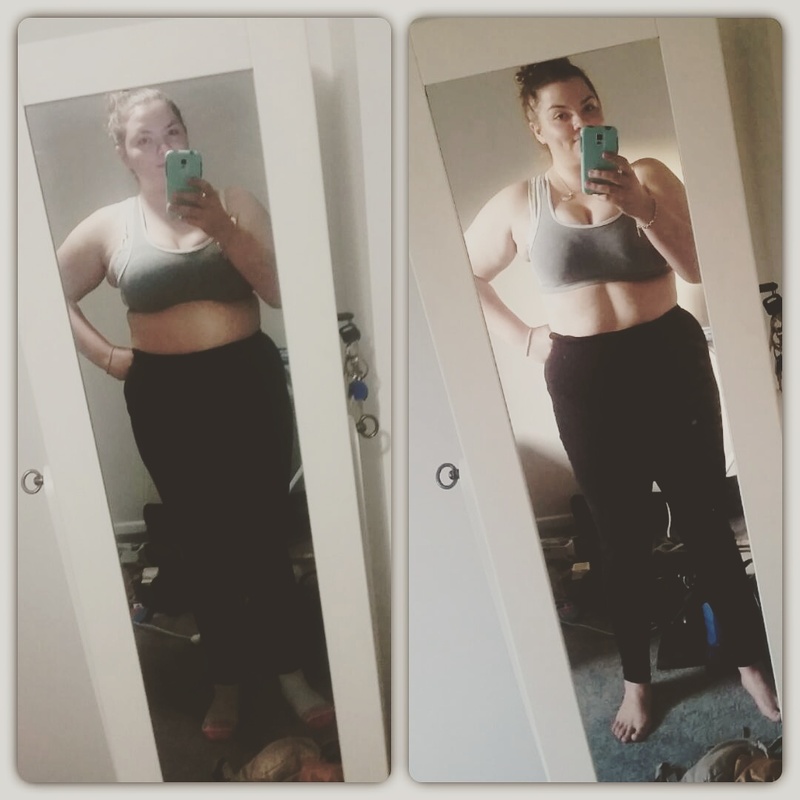 I couldn’t disagree with him, that’s exactly why I started, so I got back down on my mat and tried again and that night I could barely finish any of the workout but I tried and I remember thinking to myself after I had finished ‘I can’t wait to get back to this workout to see how much I had progressed’. To tell you the truth, the next time I came to do mountain climbers only a week or two later I could push myself to do one full round of 45seconds without stopping. I was so happy! Dear future Brittanie. If you succeed in this I am so proud of you! You will remember this day and the emotional rollercoaster that it was. Today was the first day of PIIT and I got a rude shock as to how unfit I really was. I had great difficulty completing the first round and got so upset by that, however I pushed on and finished the second, had a much needed cry to Julian and we both completed the third. After the third I felt my mindset change, I had to finish the final round regardless of how I felt, and I did. That moment was amazing. I was so happy and sore, even though I took some breaks and did some exercises the easy way, I finished it and that’s all I’m expecting from myself. Keep it up! To read that now actually brings tears to my eyes because I am so proud of myself for sticking with PIIT28, it’s not as easy as you think but it really does make you happy, relieve stress and in the process you shed fat fast. I lost a total of 5inches off my entire body and in only a month got strong enough to complete almost every first round for the entire 45 seconds without modifications. I won’t lie, I still have to take breaks and modify some moves but that’s where I am growing, each week I can feel myself getting stronger, I can actually feel my biceps toning and that’s so big for me because I don’t have great upper body strength but each day I find another reason why PIIT is so amazing! I honestly don’t think I will stop doing PIIT because finally I have found something that not only helps my body, it also helps my mind and I can not thank Cassey enough for creating PIIT28! Now lastly, lets talk prices, PIIT28 in my opinion is fully worth the money you put in. As I have said though, I have only currently purchased the PIIT28 1.0. For a mere $89USD you can get the entire PIT POWER PACK which if you can afford this is the pack I would recommend the highest as you are saving money, however if you can’t I would recommend first purchasing the workout schedule. You can purchase the PIIT28 1.0 for a mere $39USD and lastly you can purchase the 28 DAY RESET for a mere $69USD. Trust me guys, these are worth it!! If you have any questions at all feel free to leave them in the comments or message me on my instagram or facebook, I’d love to chat with you further! Awesome, thank you so much for your feedback! I think I will give PIIT a try 🙂 Thanks again! Yes, that'd be cool! Thank you! Hey again! So I did get PIIT and am currently on Day 16! I really like it, thanks for the helpful advice! It definitely is an intense workout (especially doing it day after day), but I love it!